The Taiwan Innovation and Entrepreneurship Center (TIEC-Taiwan) project was launched in 2015. The establishment of the Center is intended to link Taiwan’s startup entrepreneurs with the venture capital firms and accelerators in Silicon Valley. Operated by ITRI, a nonprofit R&D organization founded in 1973, TIEC-Taiwan is tasked with the mission to introduce high potential Taiwanese startup companies to the Bay Area startup ecosystem. A selected startup is entitled to a grant of staying in the US. In addition, TIEC-Taiwan will provide consultation, mentoring and other needed services for the selected startups to merge into the innovation and entrepreneur environment. TIEC-Taiwan showcases the dedication to creating opportunities for global collaboration, investment and innovation. Meanwhile, it amplifies the vision to expand Taiwan’s role in the global value chain. The objective is to build new connections with Silicon Valley, attract bilateral investment and demonstrate the value of collaborating with Taiwan’s companies and startup teams. TITAN	Taiwan Innovation & Technology Arena: Connect global startups to Taiwan and create a prosper ecosystem in Asia. TITAN is a one stop shop inbound platform of soft-landing, accelerating, technologies and business engagement/PR for worldwide entrepreneurs/startups. This project aims to boost the diversity of Taiwan’s innovation ecosystem by inviting talents from all over the world to create the next big thing with Taiwan’s startups and industries. We provide the resources for the soft-landing of worldwide startup teams. In addition to financial support on the flight tickets and accommodations in Taiwan, the worldwide team can choose one of the experienced accelerators in Taiwan as a host and leverage the accelerator’s network here. This year we have successfully attracted and assisted 10 international startups from 7 countries to come and expand their business in Taiwan. AP plasma Co. Ltd, is working on bonding and lamination of sport shoes by unique air plasma treatment technology in footwear industry, to replace traditional toxic chemical primer and cement, which are not allowed to use anymore in U.S and Europe. 24 billion pairs shoes produced globally per year, much more than 1.6 billion mobile phone market Atmospheric plasma Co. Ltd main customers including sport brand name companies and main O.E.M companies. 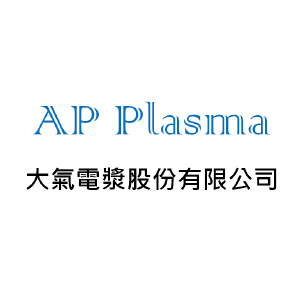 The air plasma technology and equipment can cover needs of enhancing bonding performance and ECO process requirement. This technology and equipment will apply to auto and airplane market which need much more complex material lamination in near future. Give Referrals Today, Get Referrals Tomorrow! 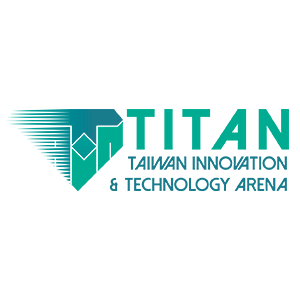 Jobalaya is a recruitment platform that facilitates job and talent search through employee referrals. For young professionals – Referral is the best way to expand your career network, and Jobalaya is the perfect tool that helps you facilitate introductions between jobs and friends! For graduating students – Never apply for jobs without referrals! If you don’t know anyone from your dream company, use Jobalaya to find referrers beyond your personal network! For companies – Referral is a great way to hire, so why not do more of it? Let Jobalaya make referrals your number one recruitment tool! 『Trade Wind Biotechnology Co. Ltd.』from Academia Sinica of Taiwan is dedicated to use synthetic biology for natural products production. Using synthetic biology technique, we created a “probiotic cell factory” to convert valuable compounds more efficient and stable than traditional way, and the probiotic is carefully selected from FDA approved Generally Recognized as Safe (GRAS) strain. Adenovo is a Fintech company in Taiwan, we apply artificial intelligence (AI) to help financial institutions to do the risk management. UGYM PRO is a smart and professional deep muscle massager to help you advance in every sport. It’s a portable accessory designed for sport enthusiasts to get powerful and effective massage on the go. UGYM PRO helps relieving muscle stiffness and soreness for different types of sports to improve exercise performance, speed up muscle recovery and prevent potential sport injury. Before exercise – Body warm up It’s small and discrete to carry around and use it on the go before doing any intensive workout. During exercise – Enhance or assist training For example, you can use UGYM PRO to build abs while jogging to enhance exercise efficiency. After exercise – Relax muscle and metalize chemical Speed up muscle recovery and avoid soreness by metabolizing build up chemicals in deep muscle. 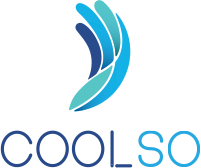 Coolso is developing a wearable gesture recognition device with patented technology that is capable of detecting subtle muscle activities. It recognizes detail information such as muscle fatigue, gesture and strength level. The greatest advantage of our technology is that is immune to interference such as sunlight or humidity/ perspiration which would compromise other gesture control solutions. This feature makes this technology particularly suitable for application in outdoor environment, Such as AR/VR application and allows user to control gaming or various devices with simple finger movement. DexHand is a hand exoskeleton system that designs for the patients with motor neuron diseases of fingers and stroke patients for rehabilitation application. The DexHand system includes two significant functions of rehabilitation, finger passive movement training and mirror guided movement. Through the help of Dexhand system, patients can not only perform the fundamental but also the advance rehabilitation therapies to help patients regain their hand muscular ability and the dexterity of fingers. QT Medical is a medtech company founded in 2013. Our core business is medical grade electrocardiograph (ECG) device and services. QT ECG is the world smallest, revolutionary, medical grade 12-lead ECG for home use. With our patented electrodes, anyone can easily do 12 lead ECG test without any training. QT ECG streamlines the traditional ECG workflow, saves time, cost and lives. Through our secure HIPAA-compliant cloud platform, early cardiac diagnosis can be facilitated, stored, or shared at anytime and anywhere. By our QT Cloud service, we will build the first ECG big data in the world from millions of home users. The home ECG database is crucial in the development of AI, which can personalize the cardiac care and predict and prevent diseases.